Headquartered in Bethel, Connecticut, USA, Cannondale designs, develops and produces bicycles at its factory in Bedford, Pennsylvania, USA. 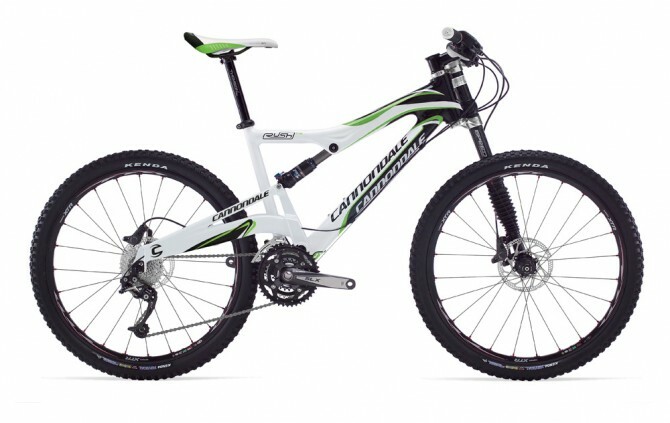 Owned by Dorel Industries, Cannondale operates subsidiaries in Holland, Switzerland, Japan, and Australia. Cannondales 2009 Mantra is “The Good Fight”. Throughout their website, they have extensive references to fighting to be different, daring to innovate in the face of adversity and challenging the norm. The folk at Cannondale, to be fair can be called a proud lot. From their point of view, it is all driving toward being the best. And that’s the thing about Cannondale – they ARE different. And that difference has seen their fair share of elite cyclists making up Team Cannondale and a covey of podium wins. The Lefty front shock mountain bikes are an eye opener when you first see them and when you ride one… lets just say you would never have realised how quick and supple your steering could be – it’s awesome. The lower inertia weight of just the one stauncheon and the reduced mass, all contribute to a superb ride. Anytime I see a Cannondale up close, I always marvel at the finish the bikes have – hand polished weld lines, to show up flaws and sub fractures during manufacturer and the famous “Built in USA, Lifetime Warranty” emblazoned upon the frame. Each of the above ranges are topped off by the Team variants, often with extra high spec goodies. Of particular note with the Scalpal is that it doesn’t actually have a pivot in its rear suspension where the chainstay meets the crank – it is made out a light weight, flexible carbon monocoque, which allows enough bend for the lean 3.5 inches of travel to take out the jitter in your ride. It’s a light and ultra fast bike. Cannondale also do a cracking range of self branded components – warranting a closer look are the aforementioned Lefty single stancheon front shock, Hollowgram Cranksets and a good range of mountain bike shoes (I ride a pair). The Cannondale website keeps on improving every time I go there. Sometimes I wistfully wish I was part of team Cannondale and had one stored under the house instead of my Specialized, the site doing such a good job of imparting that sense of clan and adventure. Structurally, one of the best MTB websites around – it has good font size, images are crystal clear and the layout of product is excellent. The introduction landing page which directs you to the appropriate country makes use of flash in such a way, I just want to shut the laptop lid and jump on my bike and go for a spin – the action footage is fantastic. Continuing the theme, once you are in the site, language is written in a manner which appeals to mountain bikers – think the 24 hour enduro set, who subsist on 3 hours sleep, 9 litres of Gatorade, Musashi Mongrel Bars, burning through 2 sets of Lithium Ion batteries on their $600 HID lighting systems and riding upwards of 140km with our 2 team mates…. Cannondale’s site inspires – Go ride.